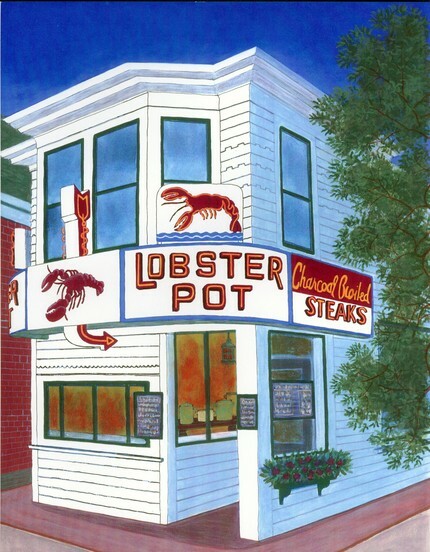 "This is a limited-edition giclee print of The Lobster Pot, a neon-lit landmark in Provincetown, Massachusetts." 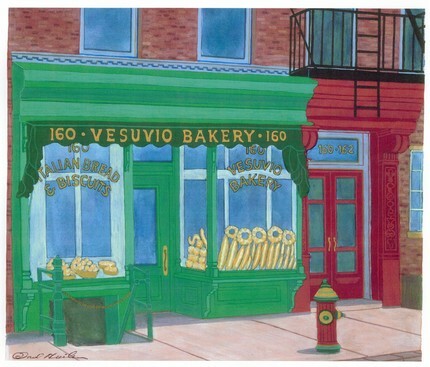 "This is a limited edition giclee print of Vesuvio Bakery in SoHo, NYC. A Prince Street landmark for Italian bread, Vesuvio was opened in 1920 by Nunzio Dapolito, an immigrant from Naples." I own one of David Hinchen's original paintings and it is one of my favorite pieces of art. His work really captures the the feel of a place and the spirit it invokes. Really? I am definitely considering getting one of his pieces.